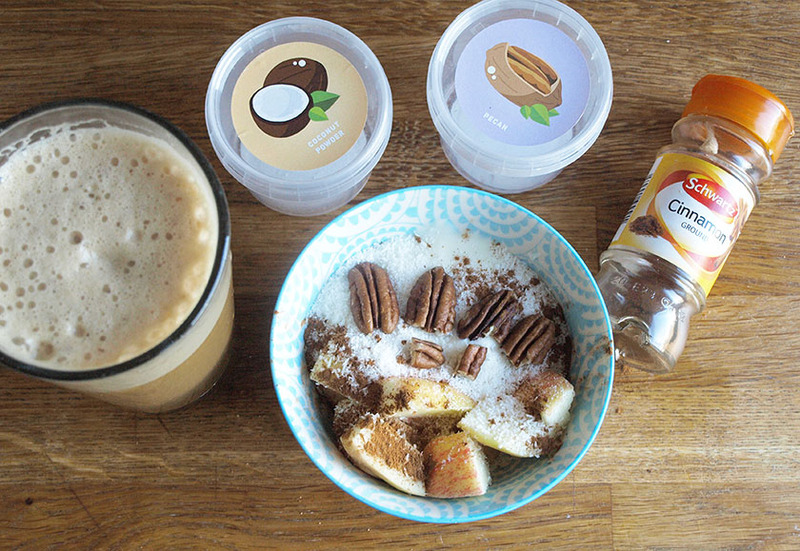 I already shared one #alprotops blog post this week (HERE), but this one is much more exciting, because you actually get to see more ideas for yummy, nutritious and balanced breakfasts. I always get excited about my breakfast and I think about it before I fall asleep the night before :) haha. I just love healthy food. If you are stuck in a rut and need some ideas to shake it up, give some (or all) of the 7 combinations I created a go. 1. 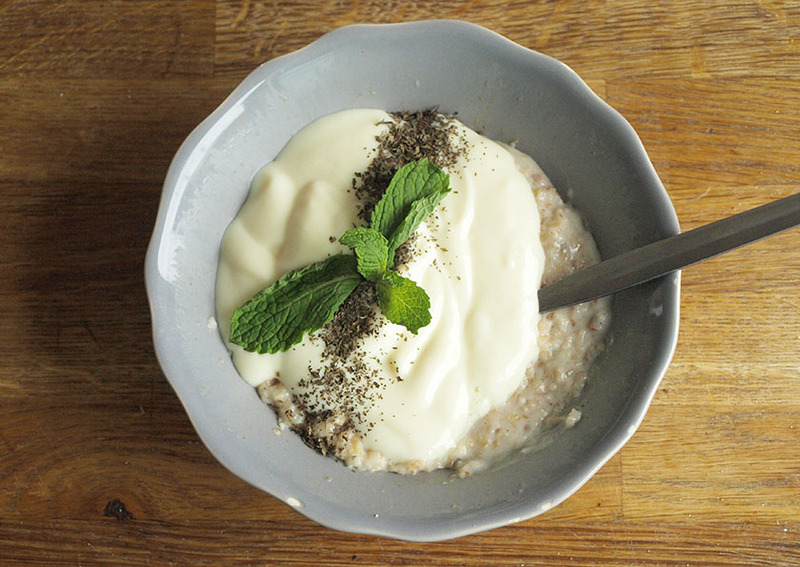 Mojito porridge - I am not sure, if I just invented something totally new, but here it is. 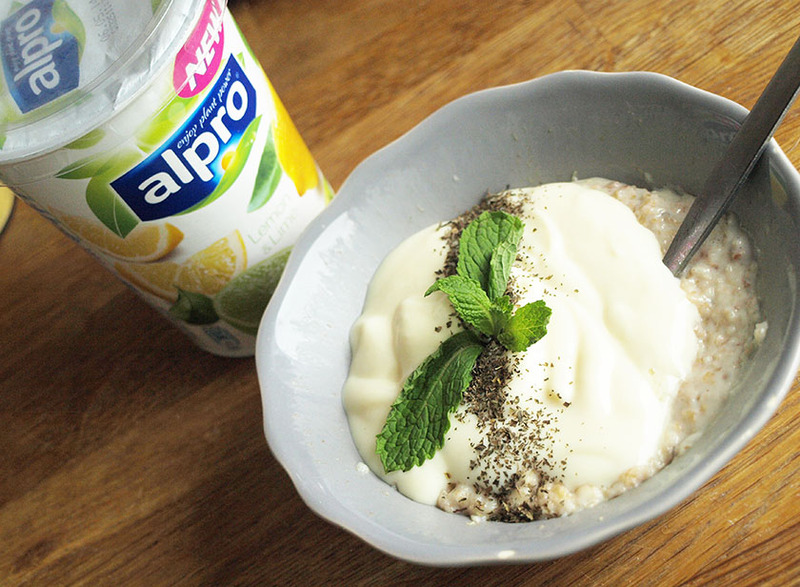 I just made a small portion of plain porridge with almond milk, topped it with Alpro Lemon & Lime Yogurt, sprinkled with dried mint and added fresh mint leaves on top. OMG! It was absolutely delicious. If you love mojitos, you will love this combo! 2. 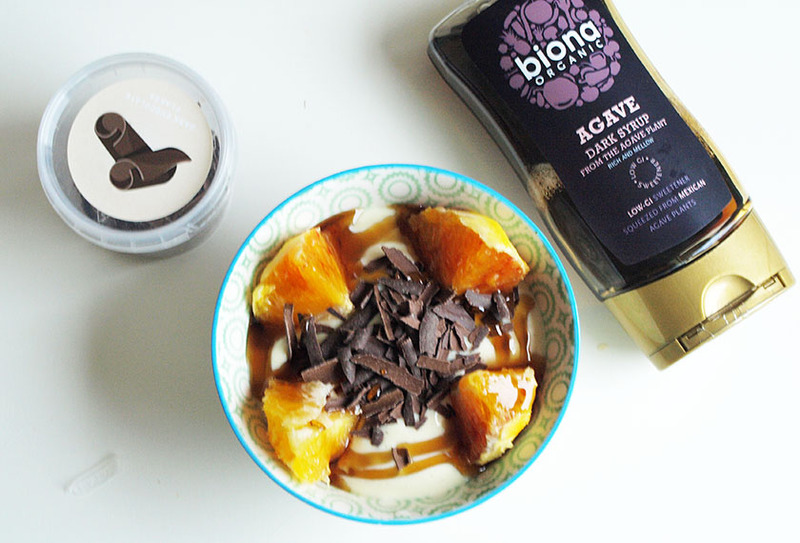 Terry's Chocolate Orange Breakfast /Dessert- A healthy option for those who love TCO. I made it with one juicy orange, a couple of tablespoons of Alpro Vanilla Yogurt, a sprinkle of Dark Chocolate Flakes and a drizzle of Agave Syrup. Seriously addictive and absolutely divine! 3. 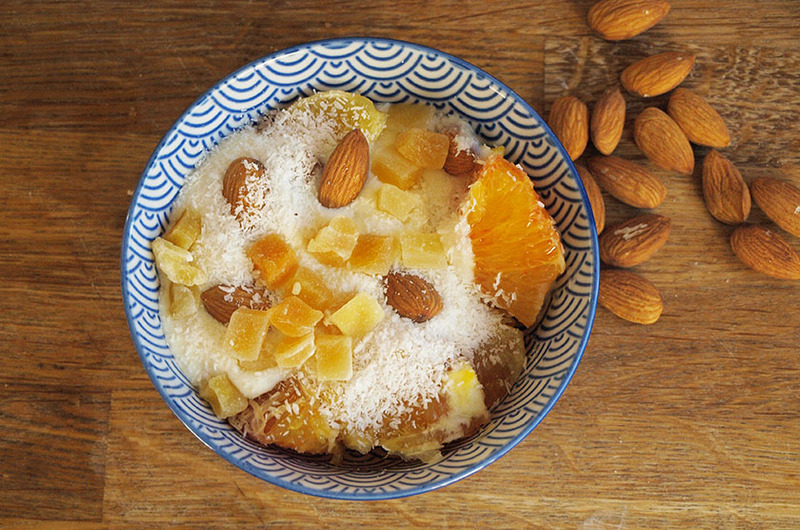 Tropical Feast - 1/2 banana, 1 orange, Alpro Simply Plain, Mango Cubes, Coconut Powder and Almonds. 4. Stawberry & Rhubarb with Muesli and Pecans - One of my favourite and most filling combinations ever. 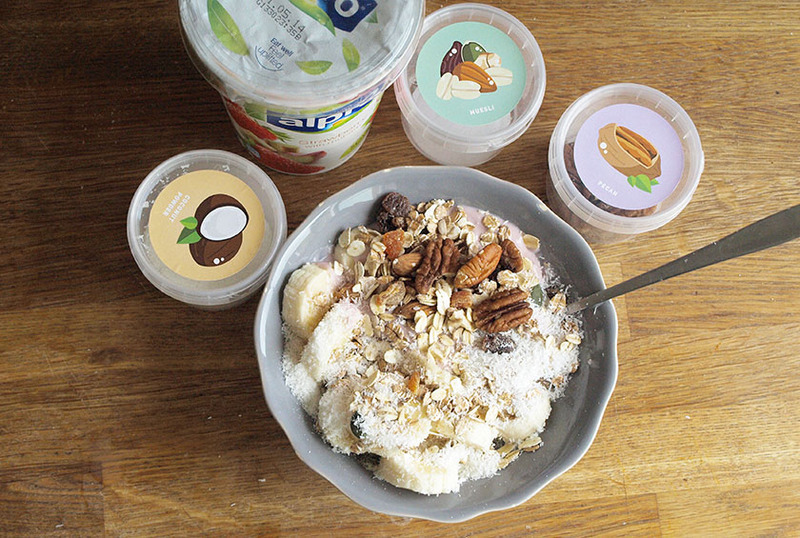 Slice 1 banana, top it with a couple of tablespoons of Alpro Strawberry & Rhubarb Yogurt, add a handful of musli, some dessicated coconut and pecans. Delicious! 5. 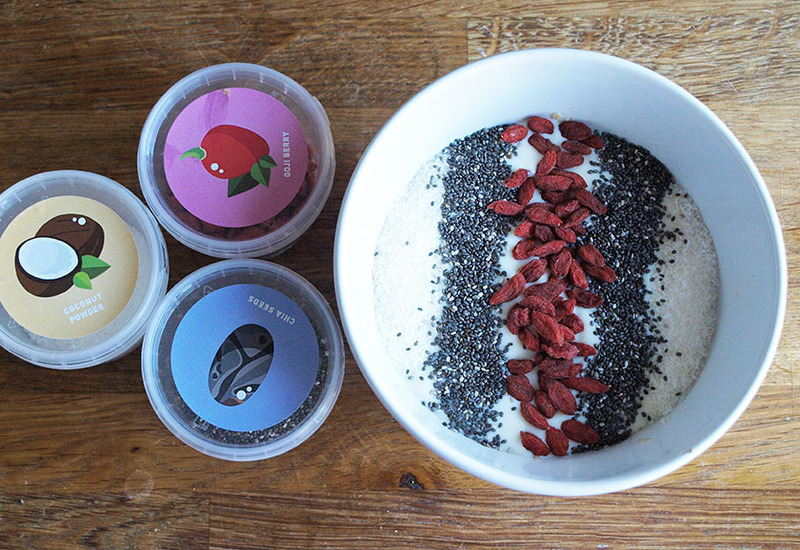 Creamy Porridge With Superfoods - the base of this breakfast is just plain porridge with almond milk, topped with Alpro Simply Plain to add creaminess and a mixture of nutritious toppings to provide your body with antioxidants. 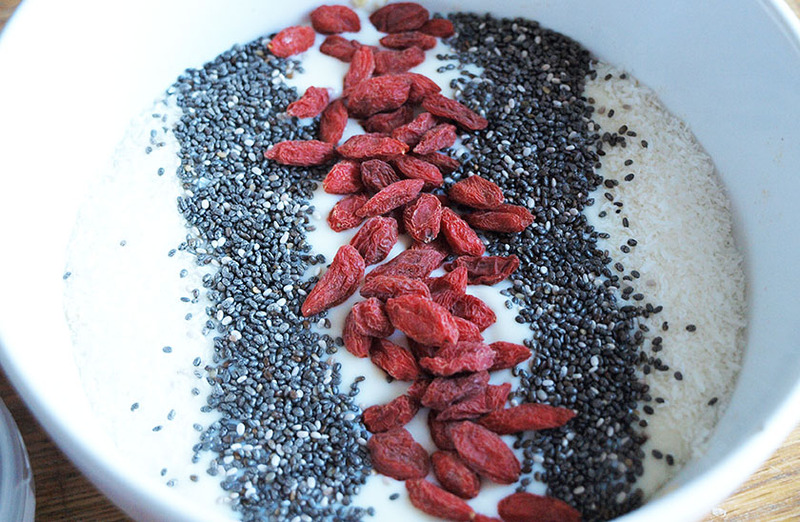 I used Coconut Powder, Chia Seeds and Goji Berries. 6. Apple & Cinnamon - another one of my all time favourite combos. 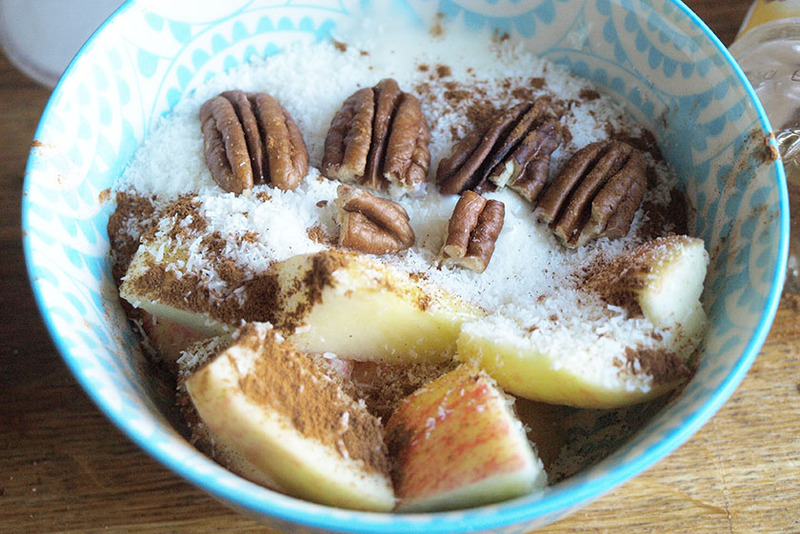 1 apple cut into bite sized chunks, a couple of tablespoons of Alpro Simply Plain, Cinanmon, Coconut and Pecans. You can drizzle it with honey or agave nectar too to add more sweetness. It tastes insanely good! 7. 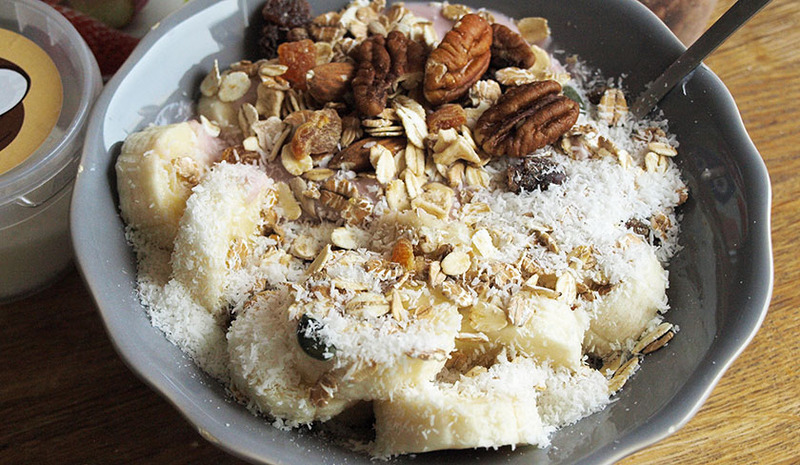 Granola, Nuts & Berries - Sometimes I just like to have quite a big portion of yogurt (200-250ml) and sprinkle it with granola and yummy toppings. 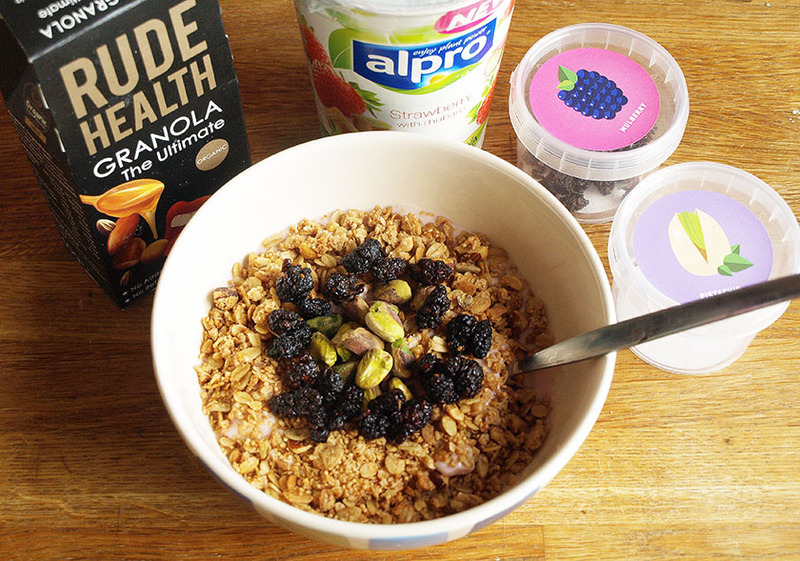 This bowl consists of 250ml of Alpro Strawberry & Rhubarb, a little box of Rude Health Granola, some dried Mulberries and Pistachios. Oh my... Soooo good! 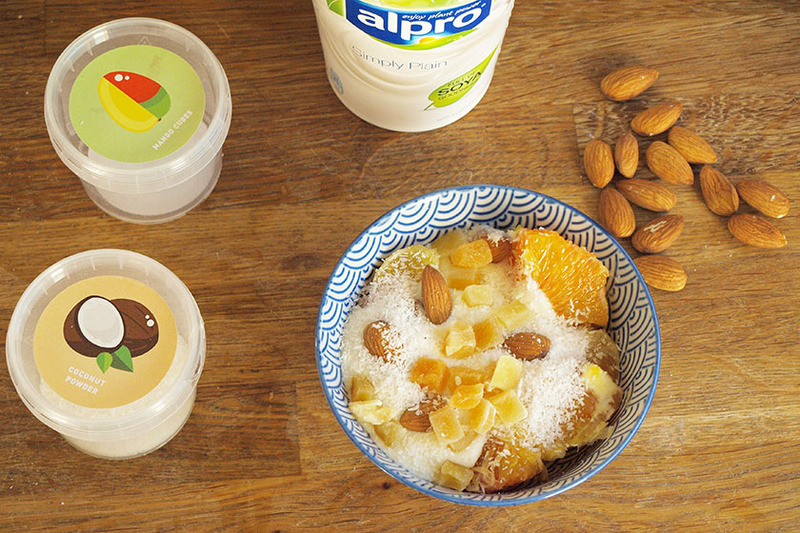 To find more breakfast inspiration, visit www.alpro.com or check the #alprotops hashtag on Twitter & Instagram. 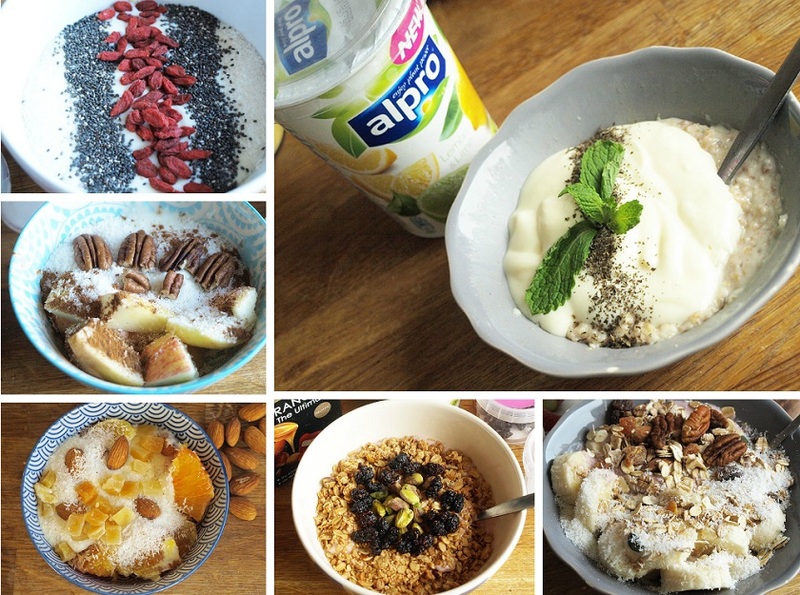 *I wasn't compensated for this post, I was sent a hamper of Alpro goodies to try out.